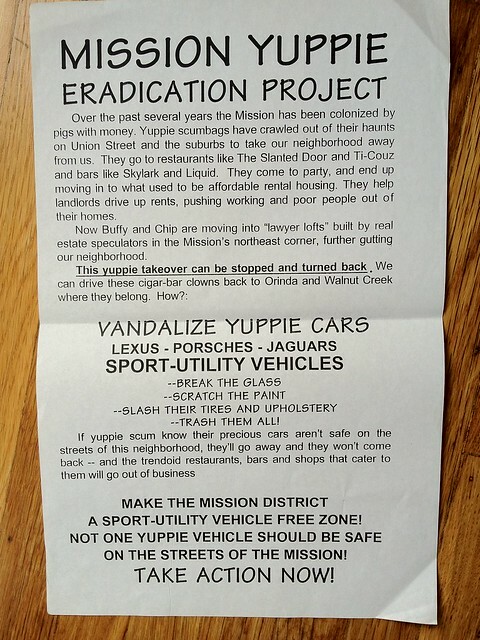 Original poster from SFs Mission Yuppie Eradication Project, which used sabotage as a means to confront gentrification back in the 1990s. Welcome to Art Good, Hitler Bad. After years of searching for clues about the man whose childhood drawings captured my imagination, I was finally granted a rare glimpse into his peculiar world. A fascinating, yet heartbreaking portrait of a SF icon, named Lone Star Swan. This picture makes me smile. More from the 22nd Street writer, Shorty. © 2010 Art Good, Hitler Bad..